The RHS Chelsea Flower Show opened in London’s west this week so we thought we’d take a look at some of the treasures on show. 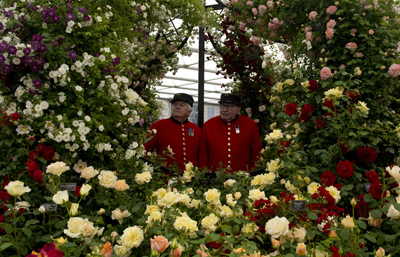 The show, which is in its 102nd year, has been held in the grounds of the Royal Hospital Chelsea since 1913 (except during the two World Wars) and while its claim to be Britain’s largest flower show has been lost to the RHS Hampton Court Palace Flower Show, it remains the nation’s most prestigious. The five day show runs until Saturday. 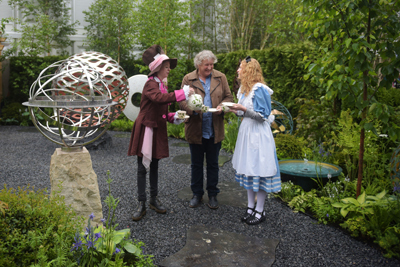 From the top – Chelsea pensioners look at ‘Peter Beales Roses’ in the Great Pavilion; the Inter-flora display in the Great Pavilion; a model poses in front of the Thailand, Land of Buddhism display; and, award-winning garden sculptor David Harber hosts the Mad Hatter’s tea party. 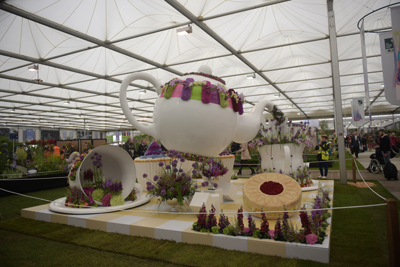 For more on the show, visit www.rhs.org.uk/shows-events/rhs-chelsea-flower-show. PICTURES: RHS/Hannah McKay and RHS.